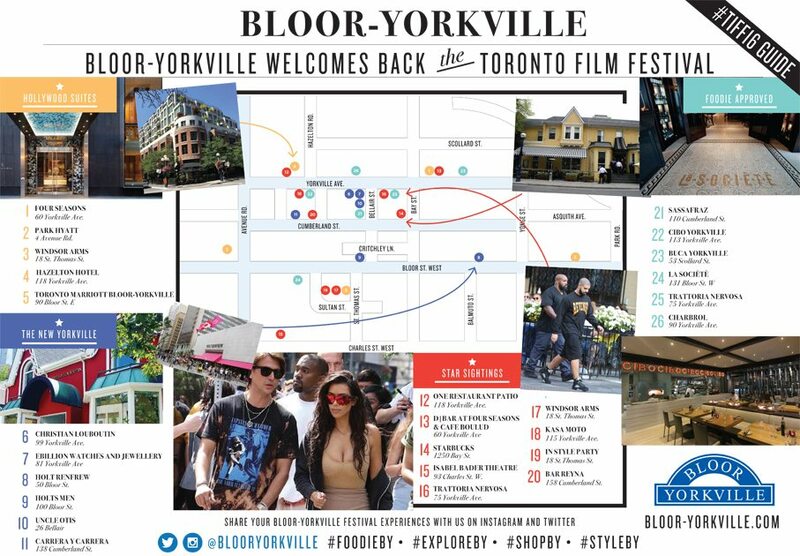 You are here: Home / Bloor-Yorkville welcomes back #TIFF16! This festival season we’ll be showcasing our neighbourhoods top shopping, dining and star sightings spots through our TIFF guide! Visit our Social Media outlets to catch up on all of the TIFF buzz in Bloor-Yorkville!